I added Aleppo Pepper to this batch. Aleppo pepper is a Turkish spice that has a fruity cumin-like flavor with a hint of heat at the finish. 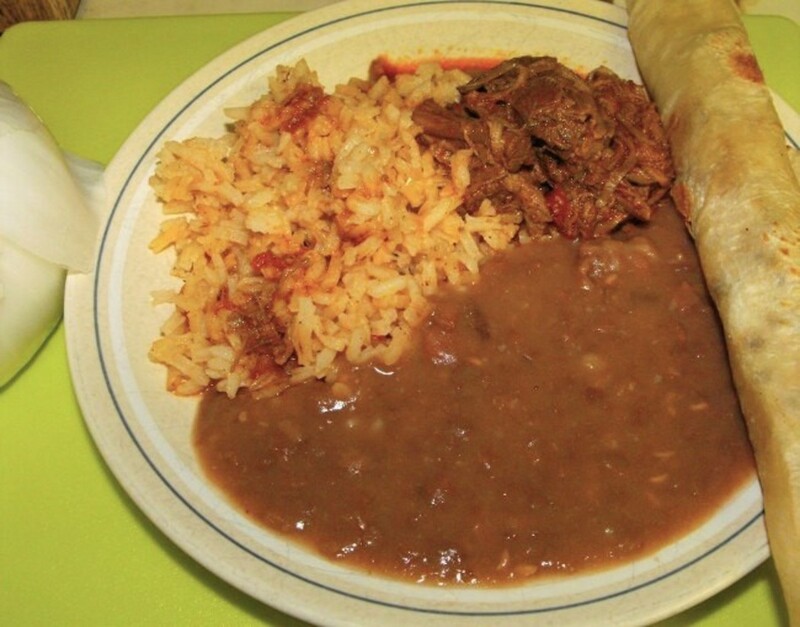 Having lived in Texas for more than ten years, I began to feel a little ashamed that I didn't know how to make a simple staple of tex-mex cuisine - beans. After all, they seem simple enough. 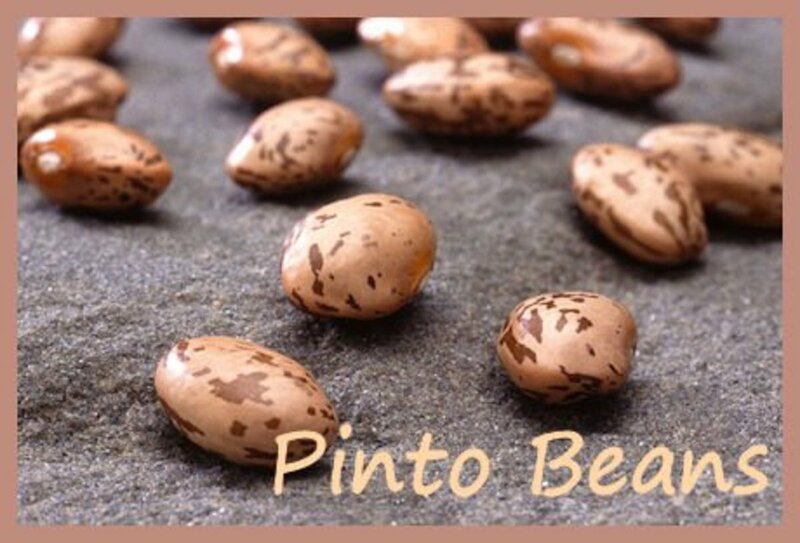 An excellent source of high quality fiber and protein, pintos can be combined with rice or cornbread to make a nutritious, soul satisfying meal - not to mention they are very inexpensive. So why is dealing with a bag of dry beans a bit daunting to some? Time. Beans are easy. The only difficult thing about making a perfect pot of beans is patience. Cooking pinto beans takes time. But with a little planning, you can prepare an inexpensive, delicious meal large enough to feed the masses. I set out to overcome my fear of our little dry friends. I consulted the experts - people who had grown up in Mexico and learned how to cook beans from their grandmothers and great grandmothers. What secrets did I uncover? First, dried beans need rehydration. There are several methods of soaking beans. I find the easiest method is to plan ahead and soak your beans overnight. Start by spreading your beans out in a large pot and sorting out any inedibles (yes, sometimes a few, ahem, rocks and such can make it into a bag of beans). Some people take out the "ugly" beans as well, but you can eat those, too. Put the beans into a colander and rinse them for a couple of minutes to remove any dirt from the outside. Move them to a large container, and cover them with twice the amount of water as beans. Then, the hardest step....wait. Just check the beans occasionally to be sure they are still covered in water. After the beans have soaked overnight, pour off the water and rinse them again. Now you have clean, plump, happy beans - but not quite happy enough. It's time to add the flavor. What you choose to flavor your perfect beans with is up to your personal taste. Traditional beans are flavored with some type of meat - bacon, ham hock, ham - I've even seen hot dogs used. I chose bacon for my beans. One trick - I discovered that you must fry your bacon before adding it to your beans. Frying creates those lovely brown notes associated with bacon. If you use raw bacon the flavor of the bacon just won't come out. Next, decide how you would like to cook your beans. Certainly stove top boiling is fine, but I like the easiest, most carefree method - the crockpot. Throw your beans in a crockpot and you can forget them until mealtime. If you cook them in a crockpot, it takes about 4 hours on high for them to become tender. Put your soaked beans and fried bacon in the crockpot. Drain a little of the fat from the bacon pan, saving those flavorful bits in the bottom of the pan. Using whatever liquid you'd like to cook your beans in - water, stock, beer - pour a cup or so of liquid into the bacon pan and get to deglazing! When you have removed all of the yummies from your fry pan, pour the goodness into your crockpot. Add more liquid to bring the level up to about an inch above the beans. Turn the crockpot on high, cover....and wait. Or not. Now is the time you can think about what additional seasoning you want in your beans. You might be wondering why I don't recommend putting the seasoning in while the beans are cooking. First, too much salt in your beans will keep them from becoming tender. Second, you're going to be cooking these beans for awhile. Add seasoning now, and most of it will cook away. Traditional seasoning is usually just a bit of garlic and onion, lots of salt, and pepper. Dried seasoning works well in beans, but if you prefer fresh garlic and onion, sauté them and add them to your crockpot about 30 minutes before you're ready to eat. Sugar - brown sugar, maple syrup, molasses - if your beans taste a little bitter, add just a bit of sweetener. Not enough to make them sweet, but just enough to cut the bitter notes. Pepper - jalapeno, serrano, if you're adventurous, habanero. 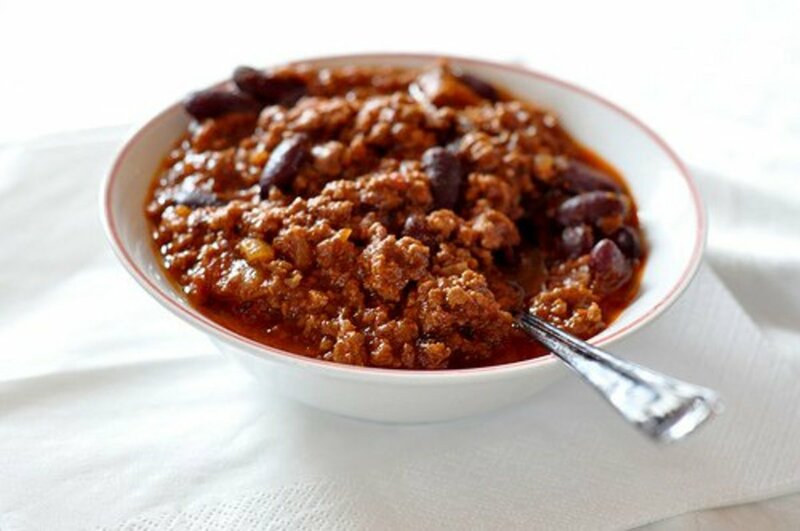 Chili pepper or cumin can be used as well, but just be careful you don't end up cooking a pot of chili without the meat. Hot Sauce - your favorite fiery hot sauce can add multiple dimensions to your beans versus the heat you get from straight pepper. Tomato - sauce, fresh, rotel - any of these will add a different twist to beans. Cilantro - add just before serving your beans, or sprinkle on top after plating. While your beans are cooking in the crockpot just check them now and then. As long as they are still covered in water, they're doing fine. The only way to really mess them up is to let them go dry. When your beans are tender and you're almost ready to eat, add the seasoning to the pot. Traditional ranchero beans still have a lot of liquid in them, almost like bean soup. You can make your beans as soupy or thick as you like by adjusting the amount of liquid you add in the beginning. Remember, most of the liquid you add to a crockpot is going to stay put and not evaporate. My last trick to share with you - the last little secret - is how to make your bean sauce creamy. When your beans are ready to eat, take out about a cup of beans and put them in a food processor or mash them by hand. Return them to your pot. Voila, or, Ole - creamy pinto beans! You can set your crockpot to warm when your beans are done and they will continue to mature in flavor. Beans just keep getting better with time. Leave them in the kitchen with some rice or cornbread on the side and let your family and friends help themselves. Set out some shredded cheese and sour cream for indulgent toppings. Did I really tell you how to make the perfect pot of beans? Not exactly. But hopefully I shared enough tips so you can create the perfect pinto recipe of your own. 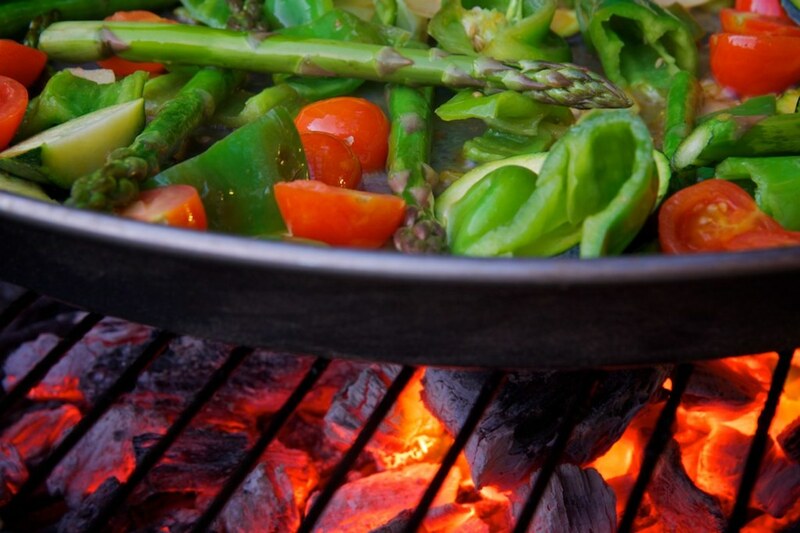 What Else Can I Use a Paella Pan For? I like mine cooked in a Dutch Oven and baked at 300 for.....well a really long time. Flavoring and such aside, if you cook them long enough instead of having the consistency of charro beans, the broth starts to thicken and turns very creamy, no need to mash beans and add beans back in. I don't really know what to call it and it doesn't seem to be very popular but it's delicious and satisfying. Just make sure you don't make chili without the meat?? What's the matter with that? 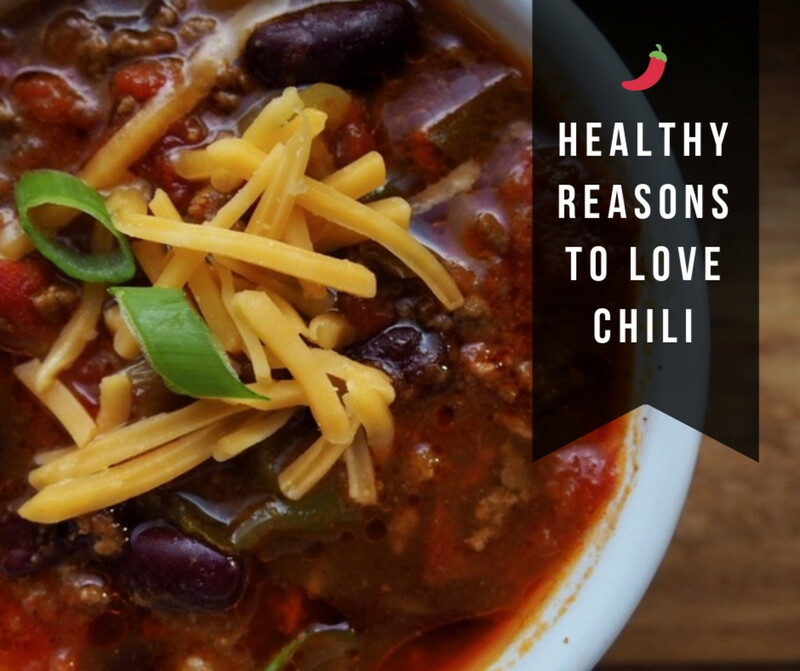 We make chili(beans) without meat all the time. What's wrong with no meat chili? I ALSO DO A LOT OF CROCK POT COOKING INCLUDING BEANS. WE LOVE THEM BUT DO NOT LIKE ALL PINTOS SO I ADD 1/2 PINTOS AND 1/2 GREAT NORTHERN. PLUS WE EAT BEANS WITH A SOUTHERN DISH CALLED CHOW CHOW. I MAKE MY OWN CHOW CHOW. I LOVE YOUR RECIPE AND HAVE USED IT FOR YEARS. MORE RECIPES PLEASE. Johne280, please feel free to quote with credit. Thank you for sharing. Silviarios - I have not eaten at that spot. I'm in Houston now, but should I make it back to DFW I will definitely give you feedback on what I pick up in the recipe. Liz - Pressure cookers aren't for me. I like to go slow. :) Thanks for your feedback! Thanks, guys, for your comments! Food is an experience for me, and I love to share how to make that experience fine and memorable. 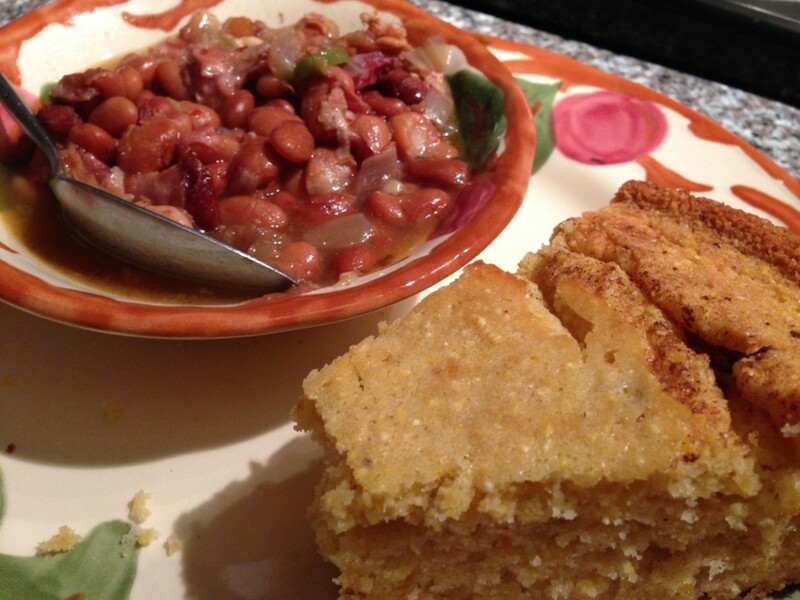 just finished making these beans in the crock-pot, turned out great...thanks, cornbreads in the oven. Going to freeze left overs in convenient containers for burritos etc. While that sounded good and I sometimes use the crock pot I usually cook them in a pressure cooker. Put 2 c. pinto beans in the cooker and fill with water about 3/4 of the way. You can add the bacon if you like, and you don't have to fry it as you will get the flavor of the bacon because of the pressure cooker. If you want to got the healthier route, don't use bacon but pour in about 2 tablespoons oil in the water before closing the lid. (I use Smart Balance since it is one of the healthier oils out there.) Turn the stove on high till the pressure cooker gets going and the little thing on the top of the cooker starts rocking. Turn it down to medium, making sure the "thingy" is still rocking. Cook for 35 min. and take the cooker off the stove and cool it down with water before opening lid. Put the cooker back on stove without the top and add about a tablespoon of salt or more to taste. Bring to a rolling boil on medium high for about 20 minutes and you will see the soup of the beans becoming nice and thick. Keep stirring and adding water if needed. My family likes soupy beans so I always have to add extra water. If done right your beans should be firm but not hard. The soup should be a beautiful tan color. Please use this recipe if you are familiar with a pressure cooker. They are great to have but can be dangerous if you don't know enough about them. Definitely read the instructions on a pressure cooker should you buy one. This recipe was handed to me by my mom which was used in our family for literally generations here in New Mexico. Obviously the didn't have pressure cookers but they would cook them on the stove all day on a steady boil. You can do it that way as well. Just remember add the oil and salt to the beans and cook all day. One note, if you forget to salt the beans, just throw them out. There is now way you can salt them afterwards and have them taste good. The salt has to be added during the cooking time. Melissa, I came across your article due to my constant search for perfect beans. I noticed you are from DFW, so I am curious to know if you have ever eaten at the Ostioneria El 7 Mares? They have one of the most delicious bean soups I've ever had. If you ever give it a try, I hope you can come on here and let me know what you think is added in that. I've tried over the years to figure it out and I believe I've come close, but no cigar. Even if you have no idea what could be in there, I hope you enjoy a bowl as much as I do when I eat there. Thanks for your article. So glad you are finding this helpful! Thanks, all. I followed your instructions and made my first successful pot of pintos EVER. Thanks so much! How funny! I too am afraid of pinto beans! But, thanks to your recipe I have just put a crockpot on! I added garlic, onion, bacon (pre-cooked), tomato sauce, fire roasted tomatoes and carrots. I plan to cook them all night and they should be good! I'm making beans at the moment and did not cook the bacon prior and your right the flavors did not come out! So I took all the beans out and cooked them in a frying pan without smashing them so it will give it some flavor I put turkey hotdogs chorizo and bacon oh and sausage enough fat?? So now I wait and see they been cooking now for 4 hours hopefully they taste good and we don't get a heart attack ! Wish me luck! Good Beans!! I love beans they're are very tasty, and have gotten me through the hardest times!! 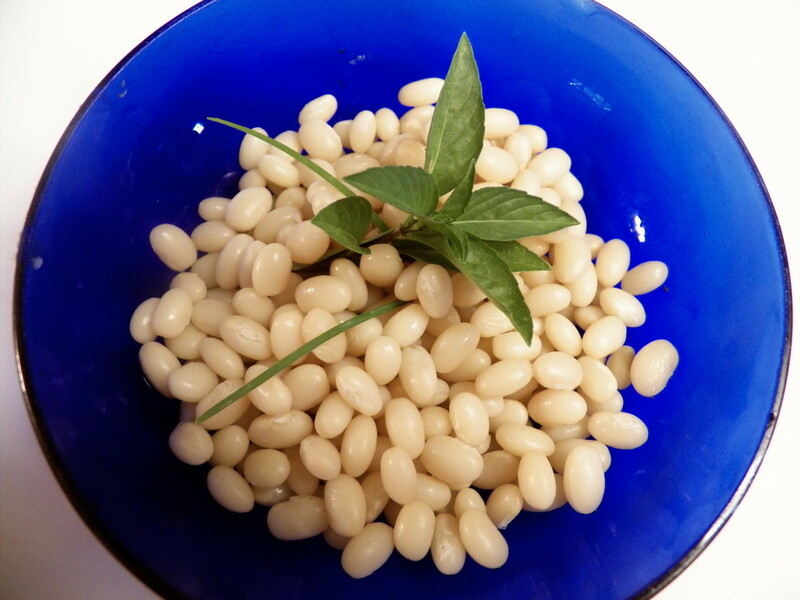 Check out my recipe,"Beans & hard times". Good article!! Thanks for the tip about frying the bacon first. My husband loves pintos, with any additons except sweet ones. I boiled my beans for 5 minutes, then simmered all day. I threw in pepper, 1/2 an onion and 1/2 red pepper from the garden. Delicious. My son adds hot sauce and I top with a little chow-chow. Hubby eats them plain. I will try the crock pot method. The big secret that made my beans tasty was to use 1 Tablespoon of salt to 1# of beans at the end (as well as frying in the bacon grease). I had never used that much salt which was the reason my beans were always bland. This is a great recipe. I live on the central coast of california in Santa Maria stye BBQ land and everyone here knows beans, BBQ and cowboy food way better than me - a little old new yorker who thinks she can cook. LOL. But I was so happy to find my horse friends, my native american friends very impressed with these beans. I've made then about 5 times and even my husband really likes them! He never met a legume that he especially liked so that is a big deal. LOL. Thank you!! I make mine vegetarian and they're still excellent. I enjoyed your article very much Melissa--lots of good advice. Pinto beans, or brown beans as we've always called them, have been a staple in our family for as far back as I can remember. I cook them like my mother and grandmother cooked them. In addition to some of the things you put in your beans, I usually ad about a tablespoon or so of cocoa to a pot of beans. It gives the beans a nice color and adds a bit of richness to the flavor, but doesn't make them taste chocolatey. I also quarter a bell pepper and ad to the beans during the simmer--then I remove the pepper prior to serving. Polish sausage is also a nice meat to season a pot of beans with. I've also used beer and a bit of worcestershire sauce is a nice flavor enhancer to add to beans. And believe it or not, my grandmother was known to add what was left of the morning's pot of coffee to her beans. They always tasted wonderful! Rockkmann - Food Safety guidelines say not to keep perishable food at room temperature for more than 2 hours. 140F or above is the recommended holding temperature for serving foods warm. How long can you keep a pot(crock) without staying turned on or in the refridg.? Hi! Making a crockpot of them right now!!! Let them cook on low all night, so nice that I knew they wouldn't burn! Thankee! 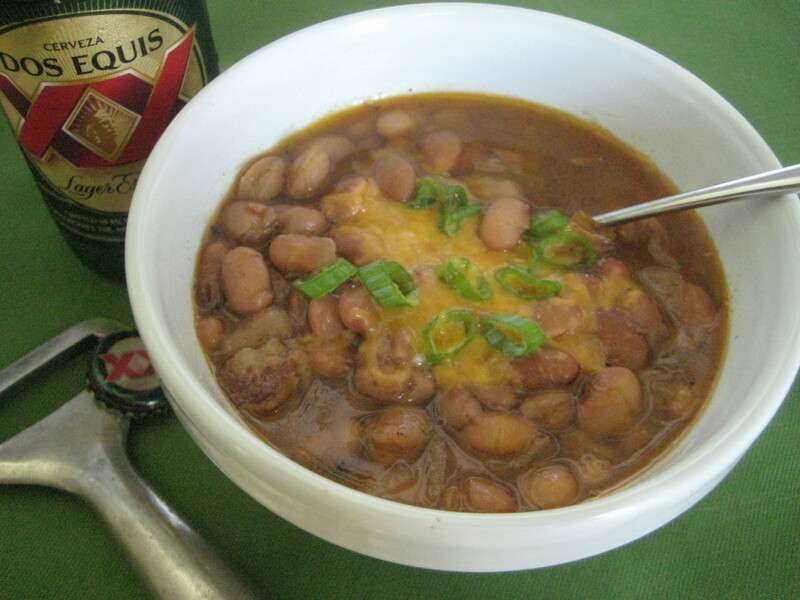 For a different twist on Pinto Beans try this “pinto Bean Sauce” with your next pot of beans. This is an old family recipe from my great great grandmother. This is a sweet sauce. Just put a spoonful or two on top of your bowel of beans, and enjoy with fresh tortillas. Combine all of above in a saucepan and cook low and slow (a nice simmer) while covered until onion is tender about 40 minutes. Sounds so tasty... My faily and I love beans thanks for all the tips. That's terrific, Lillian. Thanks all for the comments. Melissa, thank you for this recipe. This is the first time I can say that I loved my beans completely. I had bits and pieces of this recipe,but not in the right order. I followed the recipe in the exact order, and WOW!! My beans are now scrumptuous. Again, thank you. I just finished making a huge pot of your pintos N bacon, But it needed a lill something. I made up a batch of 10 min. Enchelada sause, (Google that) and mixed it in. That set it right off. So good I think I'll have another boul....Be right back. I'm sure this will become a staple arround our dinner table.